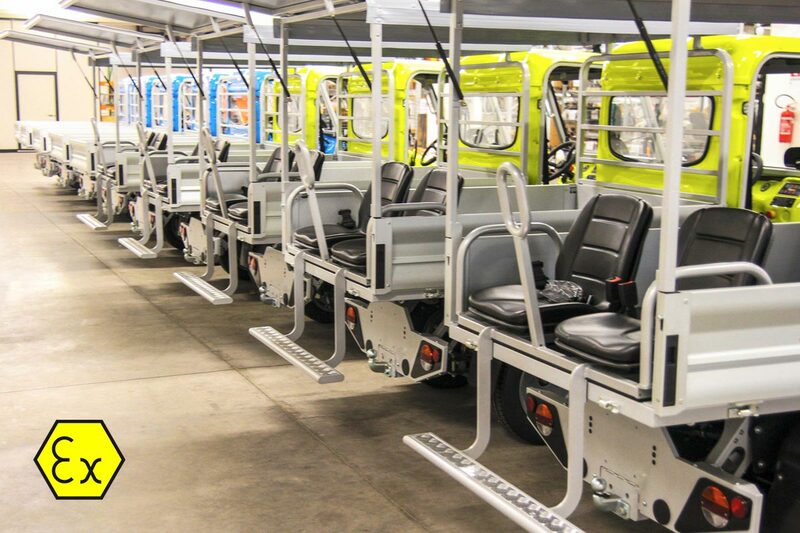 These vehicles are oriented to market segments dealing with potentially hazardous environments like chemical and petrochemical industries, production sites of mineral oil and natural gas, mining, tunnel construction and maintenance and many other sectors. 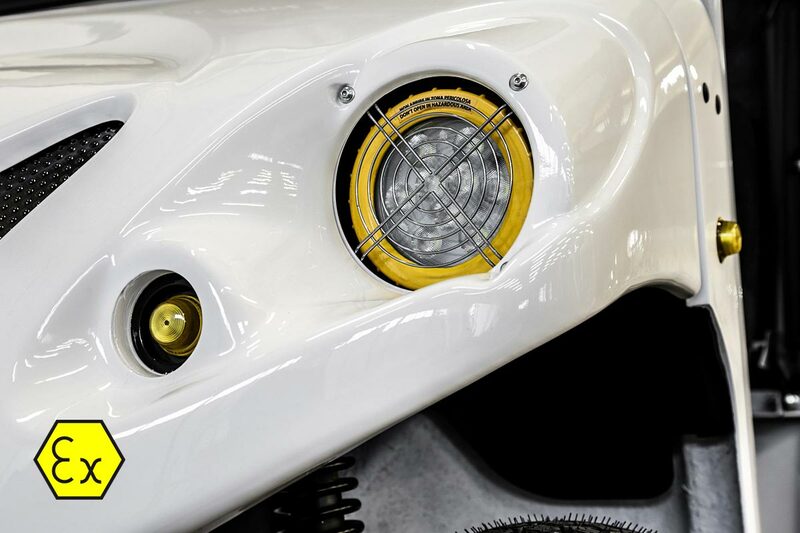 Explosion-proof certification approval for electric vehicles use in potentially explosive areas as oil and gas processing plants, tunnels, chemical plants. 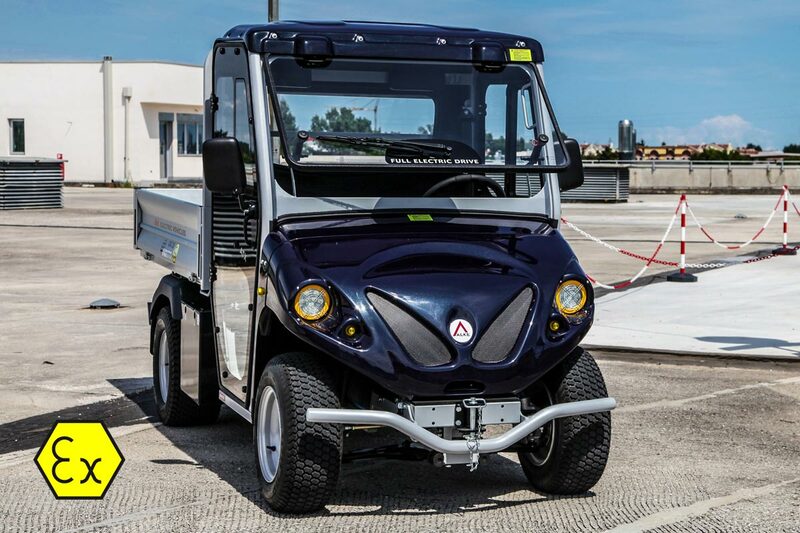 Alkè explosion-proof electric vehicles are professional vehicles designed for use in the hardest, most demanding conditions. In fact, it’s no coincidence that they’ve already been deployed for years in critical environments such as the frozen wastelands of northern Europe or in the extreme temperatures of the Sahara desert or other remote locations in the Middle East and Africa. 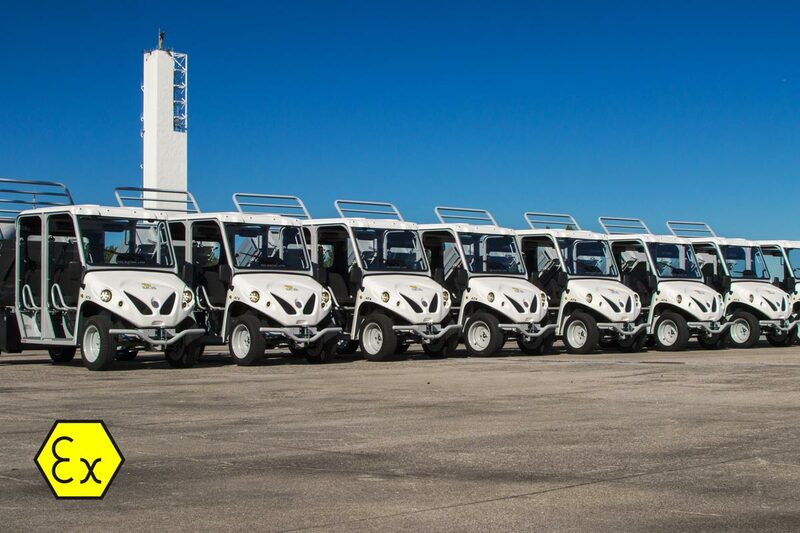 The electric vehicles used in these areas are designed to avoid any ignition risk in the surrounding atmosphere during their normal use and are built using special, certified components. 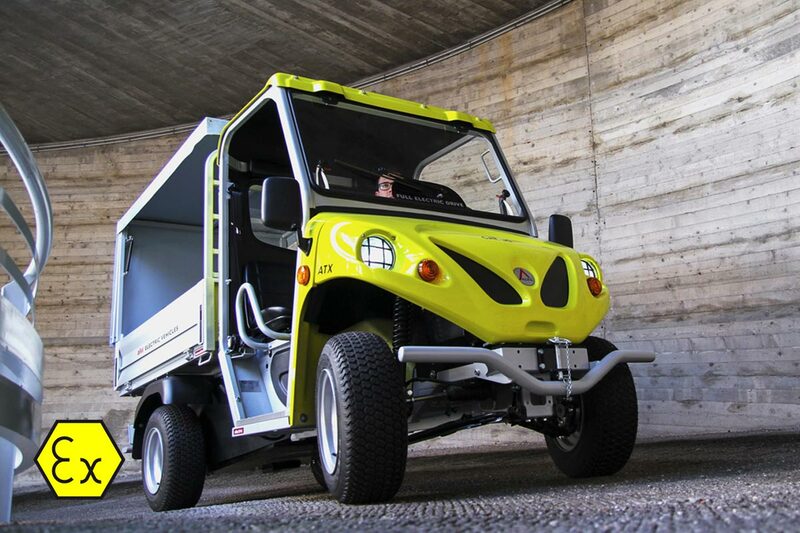 Design, prototyping and manufacturing of all Alkè explosion-proof vehicles are carried out entirely in Italy, using the best of European and North American components in order to guarantee top quality and safety standards. 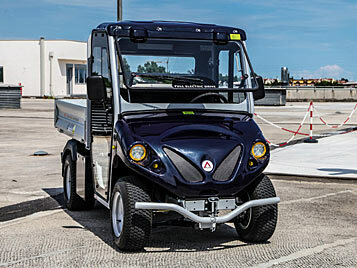 Alkè explosion-proof vehicles can work in risky areas with a potentially explosive atmosphere - gases or flammable vapours (zones 1 and 2) or flammable powders (zones 21 and 22) - and can be certified in accordance with ATEX standards for Europe, Asia, Middle East, Australia and North American UL/NEC standards, or with reference to other important international standards such as IECEx. Special configurations are available upon request, for specific applications or sectors like subsoil (ATEX M2) or environments where explosive materials are present (e.g. ammunitions and firework products - IP 4X and IP 5X). 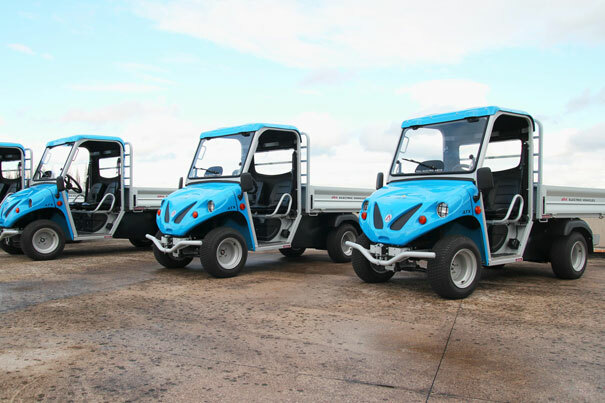 Why choose the Alke' Atex explosion proof vehicles? 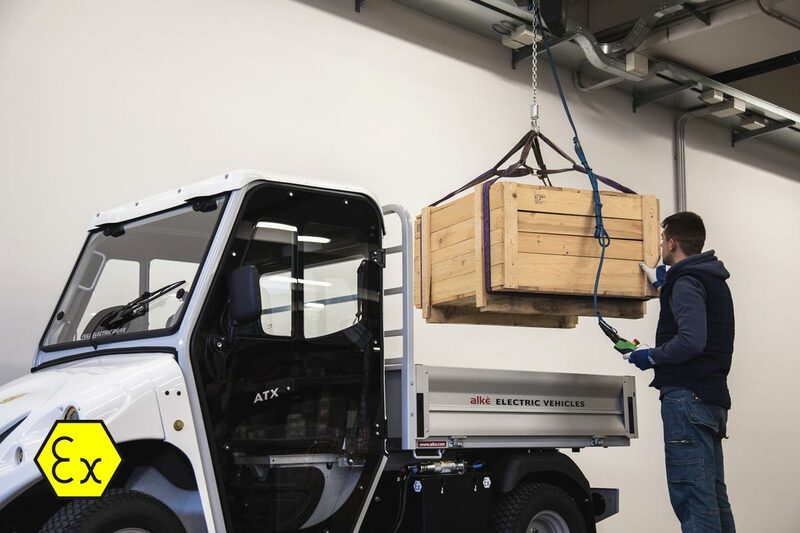 The Alkè line of explosion-proof vehicles includes ATX 340EX model with load capacity up to 1.205 kg, that can tow up to 4.500 kg, and have an autonomy level of up to 90 km with a single recharge. The ED version (ATX 340EDX) have a twin cab, so it can accommodate 4 people. 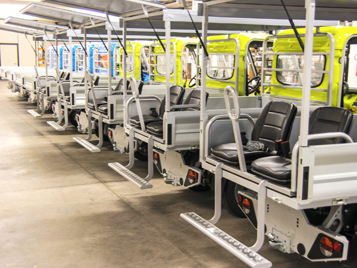 On all the models (2-seat or 4-seat), another two seats can be added on the loading area thanks to the special (optional) rear seats kit. 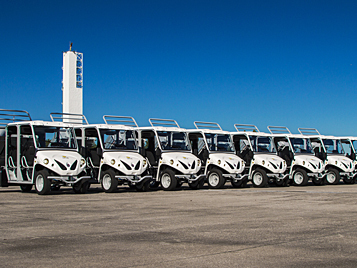 These vehicles come in a wide variety of versions thanks to the numerous optional fittings and configurations. 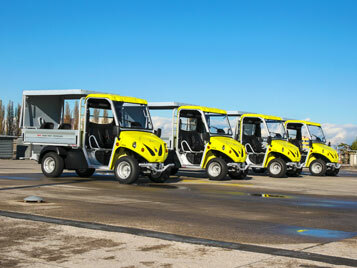 They can be used for logistics, maintenance, first aid, firefighting, surveillance services, units with mobile cranes, etc. 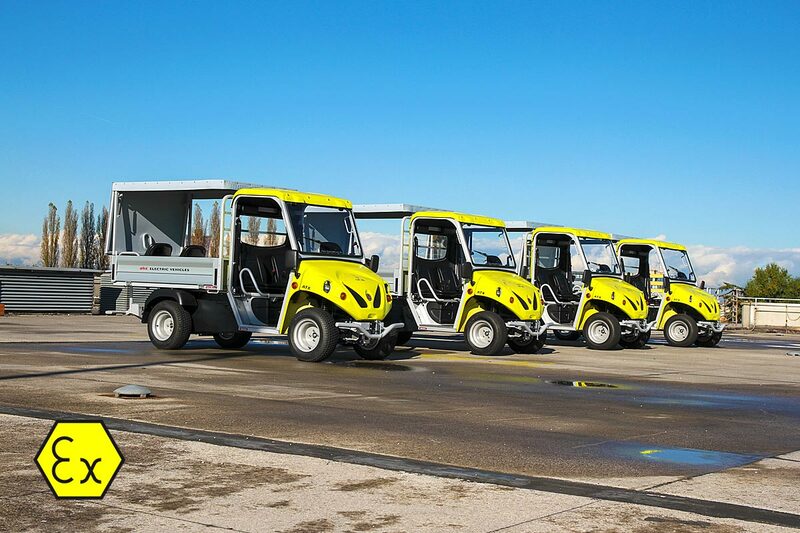 Comfort in the cab is guaranteed by an air-conditioning system designed to work at up to 55°C, and by an electric heating system - both explosion-proof certifiied. Every ATX chassis is treated with an anti-corrosion cataphoresis process and built with steel tube profiles sized to withstand high stress levels. 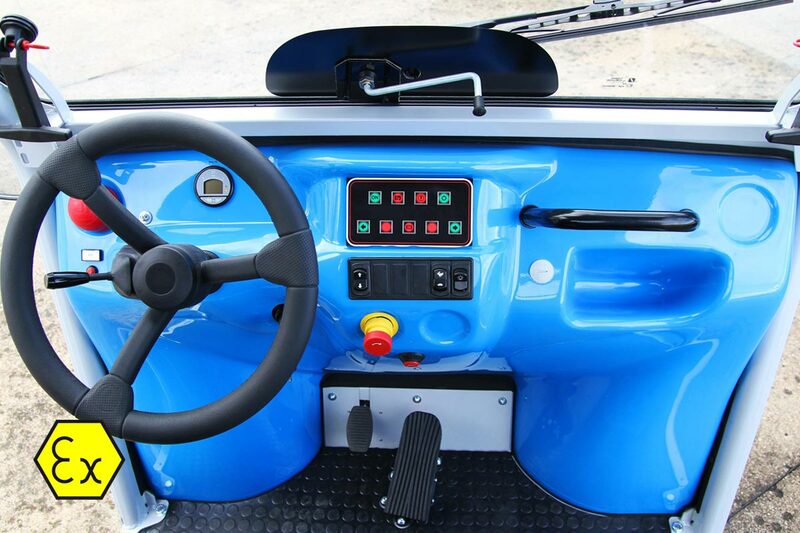 The front body of the vehicles, the dashboard and the cab back and cover are made of reinforced fibreglass finished with car paint (fibreglass is very flexible, impact resistant, and can be repaired in the event of an accident). The ATX vehicles mount AC motors with high torque and gradual power distribution, preventing any risk of sliding or poor grip even on terrain that is traditionally considered to be high-risk (sand, snow or ice). In addition, they guarantee immediate uphill standing starts. Thanks to their special motors and the CURTIS controller in fact, the ATX models can increase the level of power from 8 kW (nominal) to 14 kW (peak) when necessary, to allow operation on uneven ground or on slopes. 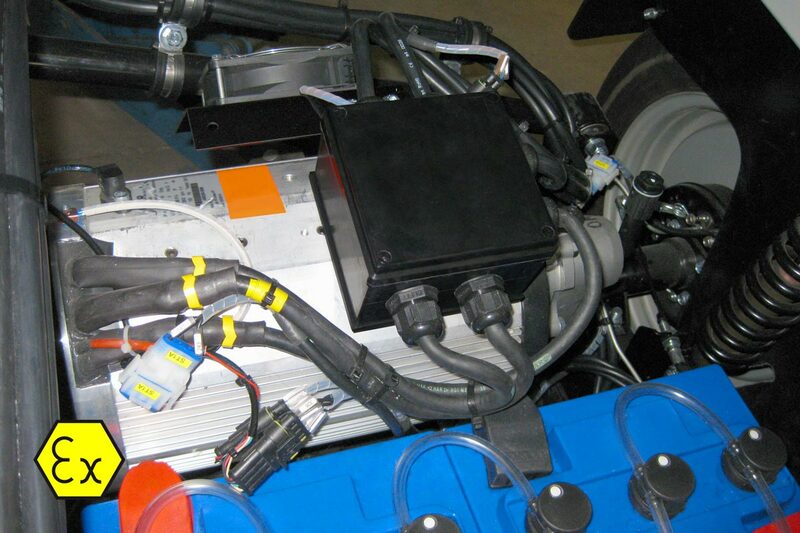 The ATXs have an energy recovery motor braking system (regeneration) which avoids power wastage and brake wear when stopping, and simultaneously recharges the vehicle battery. 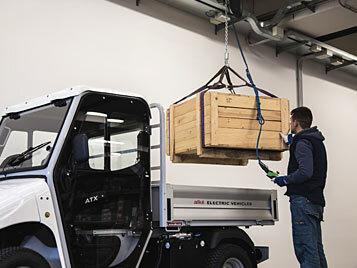 The range of the Alkè ATX explosio-proof units covers an entire work day without any problems, even where frequent stops are required for loading/unloading operations and it can reach up to 90 km. In cases of continuous use (e.g. in large oil or petrochemical plants), removable batteries can be used that allow the range to be doubled or tripled thanks to the use of auxiliary batteries that replace those in use in just a few minutes, all for truly 24 hour operational capabilities. These models can mount 2 different types of battery: Lead Acid or Gel - each suited to specific uses. The Lead Acid batteries are the most common because of their price and reliability, the Gel batteries are suitable where sealed, maintenance-free solutions are preferred or required. 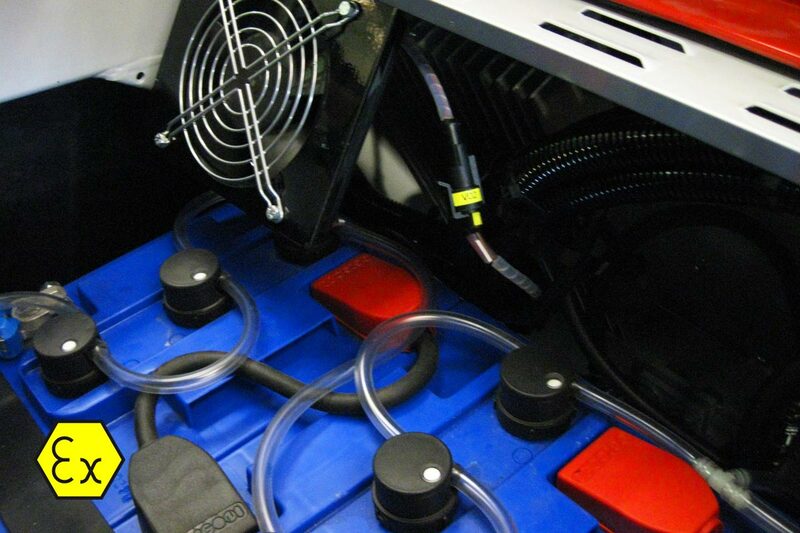 A complete battery recharge, usually carried out during the vehicle’s down time overnight, takes place using the external high frequency charger with active PFC. The high frequency charger allows for better charging and extends the useful life of the batteries, whereas the active PFC allows for quicker charges at the same mains power absorption. 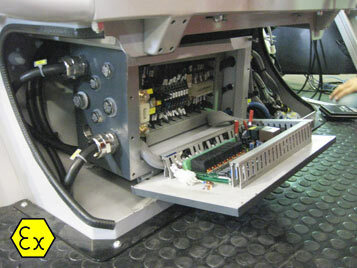 Alkè explosion-proof versions have specific design and safety expedients concerning the electrical system (batteries, connectors, sensors, control unit, etc.) and all those non-electric parts that could generate high temperatures or sparks (mechanical parts, brakes, plastic elements, etc.). The surface temperature is checked by specific temperature sensors, according to the temperature class and the temperature limit requested, to avoid the risk of overheating. If this occurs the vehicle will automatically shutdown, lighting the indicator. 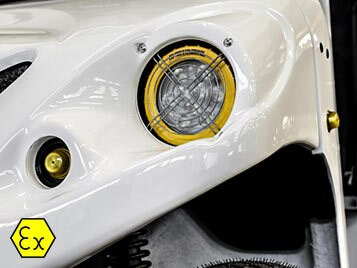 An earth leakage check system (versions for Zones 1 and 21) automatically shuts the vehicle down in case the max value should be exceeded, lighting the indicator on the dashboard panel. 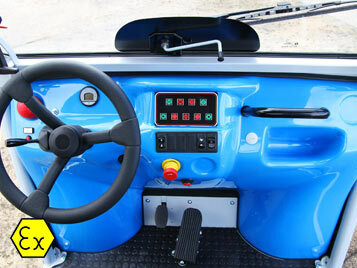 An appropriate “Reset” pushbutton allows the vehicle to be moved out of the dangerous area in case of temperature and (versions for Zones 1 and 21 only) earth leakage sensor’s alarms intervention. 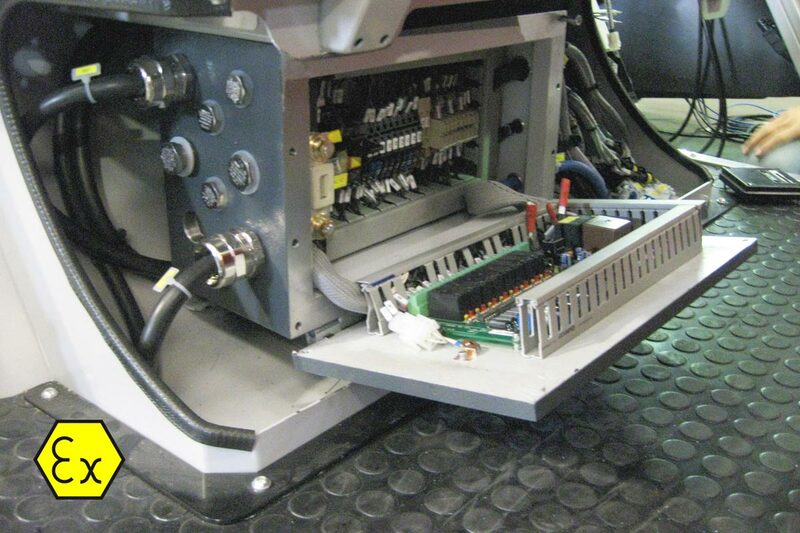 The electric wiring system has armoured cables for ducts subject to movement or without any mechanical protection. 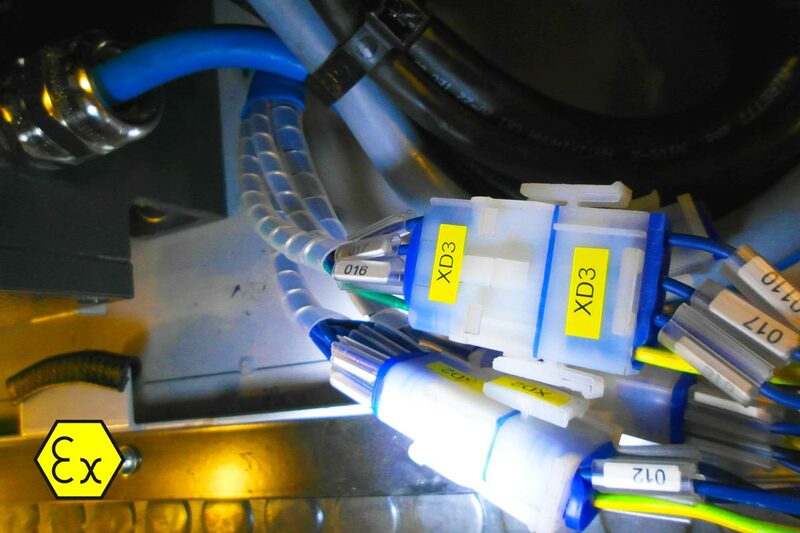 Light blue wires are used for the connections of components with built-in protection, and the relative cable glands (certified for their respective categories). 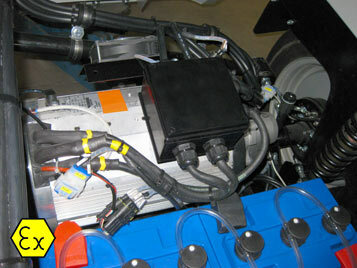 The system is fitted with a 2-pole emergency battery cut-off switch. 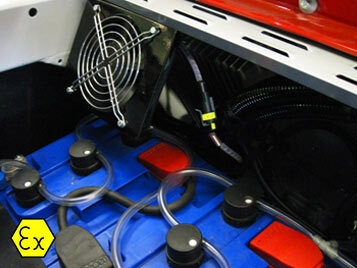 The versions for Zones 1 and 21 the vehicle battery is Ex-e type with refilling system. 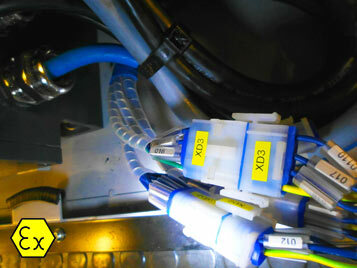 Battery connectors are Ex-d type certified. On the versions for Zones 2 and 22 the batteries and relative connectors respect the EN 60079-15 standard. The disk or drum brakes are equipped with wear and temperature sensors to avoid the formation of sparks caused by the friction between metals, and to prevent friction overtemperatures from exceeding the value of the required temperature class and limit. The seats of versions for Zones 1 and 21 are covered with an antistatic material and, where necessary, the external plastic surfaces are treated with electroconductive paint. All tyres are electro-conductive. Accessories, such as flashing beacon, reversing beeper, headlights, etc. are explosion-proof. 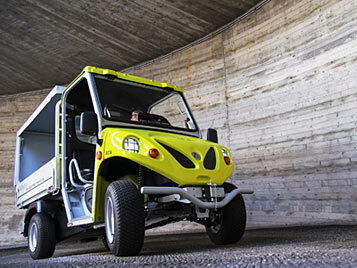 Send us a short message if you would like to receive the prices of the Alke' Explosion Proof Vehicles.